Of the countless retro cars exhibited at the ongoing 2019 Retromobile show in Paris, this one is perhaps the one we’ll remember the most. Meet Berliet T100, the largest and strongest tow truck from the faraway 1950s. The manufacturer has only ever built four cars, out of which only two have survived to this date. 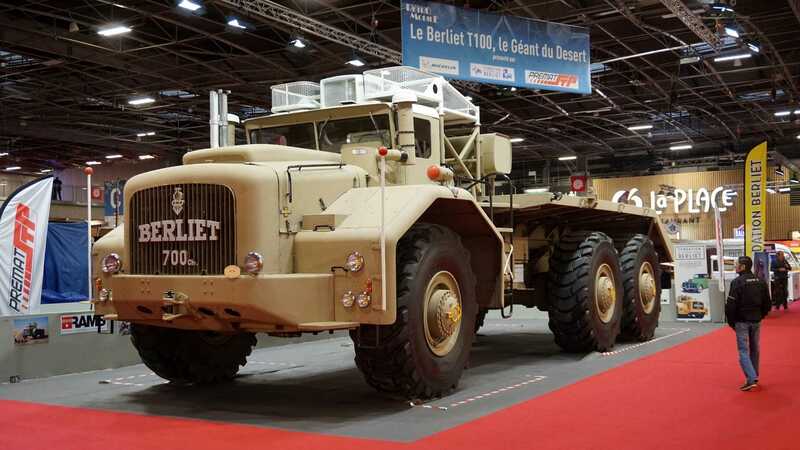 The Berliet T100 you can see here has been sitting in Marius Berliet’s private collection for the last three decades. On an amusing note: when the vehicle arrived at the 1957 Paris Motor Show, a separate showroom had to be erected to accommodate it. No wonder, considering that the tow truck is 13.4 meters (44 feet) long, 5.5 m (18 ft.) wide and 4.5 m (14 ¾ ft.) tall. It also weighs in at around 200 metric tons, or 441,000 lb., when full. The car comes equipped with a monster of a diesel engine with 30 liters of displacement room and 700 hp (522 kW) nominal output. Once fully loaded, its fuel consumption constitutes an atrocious 640 liters per 100 kilometers traveled. This roughly amounts to 0.44 MPG (UK) or 0.37 MPG (US).